In this well-researched study of Michigan baseball from the 1830s to the 1870s, baseball scholar Peter Morris offers many answers. Drawing on such sources as personal memoirs, period photographs, and an extensive, often hilarious variety of newspaper accounts, he paints a vivid portrait of a game that was widely—if erratically—played well before the Civil War and gradually evolved from an informal amusement into an activity for local groups of young men and finally into a serious, organized sport. Baseball began with pick-up "raisin'" games—so called because they took place after rural roof-raisings—played purely for fun by any number of participants, with myriad local variations. The first amateur clubs appeared in the 1850s and were often ridiculed for playing a child's game—"baseball fever" was then a term of mockery—but as they persevered and issued challenges to other teams from nearby towns, rivalries developed, rules began to conform, and a tradition started to take shape. Tournaments, often connected with county fairs, and increased newspaper coverage gave the game new momentum after the Civil War, and what had been sociable matches became serious contests, sometimes marred by bad blood. Enclosed grounds changed the nature of the game—most notably with respect to home runs—and allowed teams to charge admission, which introduced a new element of commercialism, community involvement, and a heightened sense of competition. Ultimately, it brought about a level of play that made the best "amateur" clubs able to challenge professional teams from the East when they toured the country. "Baseball Fever is a must-read for every serious historian of the game. It's not only a groundbreaking exploration of the true geographic origins of early baseball but also the most incisive explanation yet on how the game so swiftly evolved from a primitive child's game to become a professional competitive sport and, indeed, 'the national pastime.'" "Peter Morris is able to demonstrate what is an essential truth: that Americans' attachment to their national pastime is fundamentally and forever local. . . . The book is a marvel of scholarship and synthesis." "Peter Morris has accomplished a major feat with Baseball Fever: By using one geographic area as a mirror, he reflects the early history of the game for the entire nation." ". . . uses pre-National League baseball as a prism through which to see the dovetailing of emerging Gilded Age values with changing views about leisure and play. . . . [A] closely detailed case study of the way in which baseball became the 'national pastime.'" "In the early 1990s, George Plimpton presented his 'Small Ball Theory,' which states that the quality of writing about a particular sport is inversely proportional to the size of the ball used to play that sport. . . . [H]e was certainly right about baseball. Over the years a number of very good books have been written on this sport. 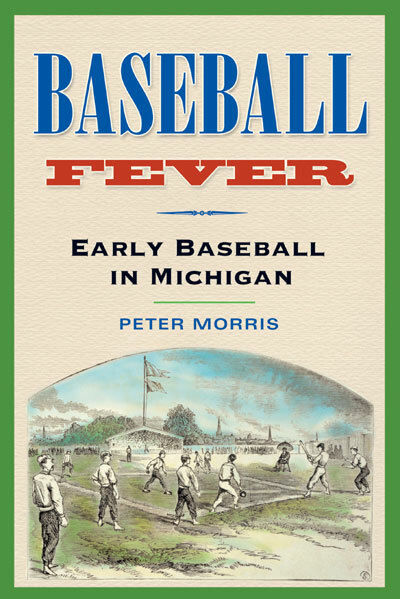 Baseball Fever: Early Baseball in Michigan by Peter Morris can now be added to this category. . . . Peter Morris has produced a thoroughly researched, well-written book that would have put a smile on George Plimpton's face." 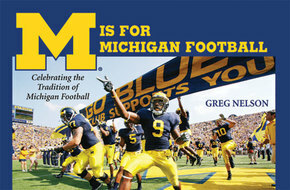 "Lovers of baseball, or of things Michigan, will enjoy this book. . . ."
". . . a work of painstaking scholarship that creates a remarkable picture of an early and largely misunderstood period. It contains much interesting and entertaining material and should not be overlooked because of its regional focus."